Pray for all the resources and creativity needed to fulfill the intentions of God in the state of Nevada. State Information: Nevada’s name comes from the Spanish word meaning “snow clad”–a reference to the snow-covered peaks of the Sierra Nevada. The discovery of the Comstock Lode, a massive deposit of silver, in 1859 brought many fortune seekers. 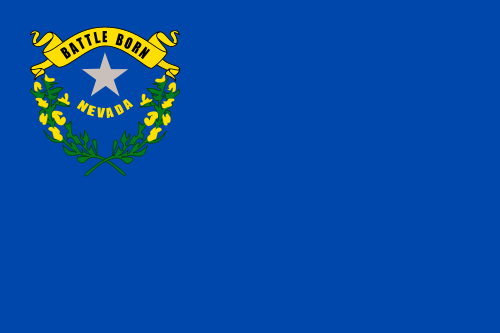 Statehood followed shortly afterwards in 1864, when Nevada was admitted as the 36th state. Nevada is in a mountain region that includes semiarid grasslands and sandy deserts, and is the most arid (dry) state in the nation. Like oases in the desert, Nevada’s two main cities–Las Vegas and Reno–attract fortune seekers from around the world hoping to strike it rich in the many casinos located there. The capital is Carson City, and the state flower is the sagebrush.